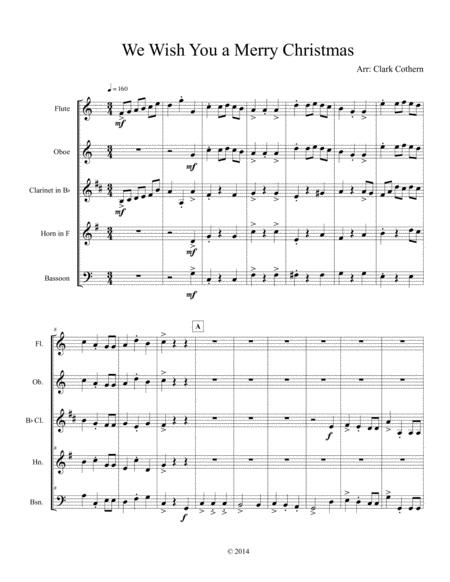 As heard on the album, "A Small Ensemble Christmas," by DDT Brahms. 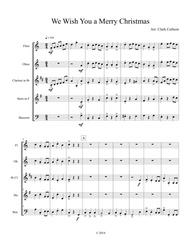 This lively version of We Wish You a Merry Christmas for Wind Quintet (Flute, Oboe, Clarinet, Horn, Bassoon) is a great way to close your Christmas chamber music concert. A middle section juxtaposes the them to Jesu, Joy of Man's Desiring alongside the "We Wish You" theme. Advanced intermediate level on up.